Salomon, David. 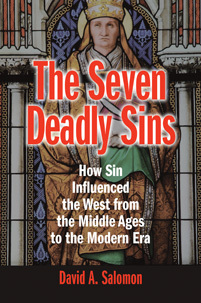 The Seven Deadly Sins: How Sin Influenced the West from the Middle Ages to the Modern Era. Praeger, 2019. ABC-CLIO, publisher.abc-clio.com/9781440858802.